WooCommerce is a fantastic free plugin owned and maintained by Automattic, the parent company of WordPress.com. It is the most popular e-commerce tool and powers over 22% of all online stores. However, when it comes to selling online courses and memberships, WooCommerce is not always the first choice. Many business owners choose ‘all-in-one’ platforms or plugins over the ‘modular’ approach we champion at WPLaunchify.com. Because of its deep integration into the WordPress system along with thousands of add-ons and integrations, WooCommerce is a safe choice for savvy business owners. It supports virtually every payment gateway, and you will always find support available across the web. 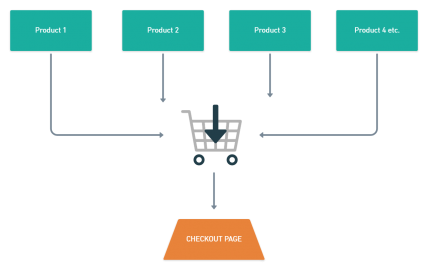 The biggest misunderstanding we hear about WooCommerce is the checkout experience. Digital Marketers know that the more streamlined the checkout experience the higher the conversion rate. Each unnecessary step in the process adds friction and reduces the chance of a sale. And, from the surface at least, WooCommerce doesn’t live up to these principles. Out of the box, it takes a ‘store based’ approach, similar to Amazon or any large online retailer. The customer browses through the shop, adds multiple items to the ‘cart’ and finally completes the checkout process. And this works great if you have a large inventory but, often times for digital products this is not the most efficient way to proceed. Marketers want to drive their prospects through a specific funnel towards one particular product without any of the distractions of a ‘shop’ experience. Luckily, however, with a few tweaks, WooCommerce can be optimised to work with this system in mind. 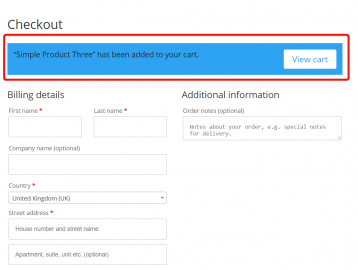 To bypass the cart entirely and send the customer directly to the checkout page we can use a specially formatted link for each of our products. You can include these links on your sales pages, instead of using the default WooCommerce product pages. 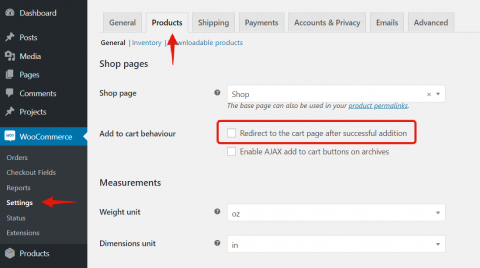 To create these links we first to need to adjust a WooCommerce setting. These links work great, but as soon as we hit the checkout page, we get the message ‘<Name of Product> has been added to your cart’ along with a link to the cart page. This is placed in your child theme’s functions.php file. 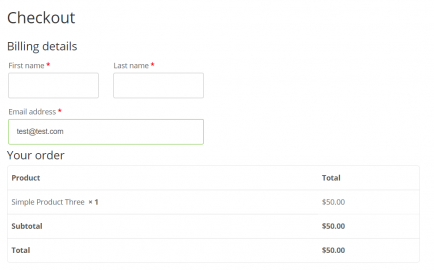 Out of the box, WooCommerce includes a ton of checkout fields that are irrelevant when selling a digital product. The fewer checkout fields you require the less time it will take a customer to complete their order. We are going to remove all of the fields except for First Name, Last Name and Email address. This can be easily achieved using the ‘WooCommerce Checkout Field Editor’ which is available in the software bundle. 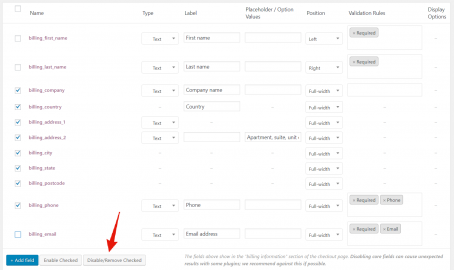 When the plugin is installed and activated go to WooCommerce -> Checkout Fields. 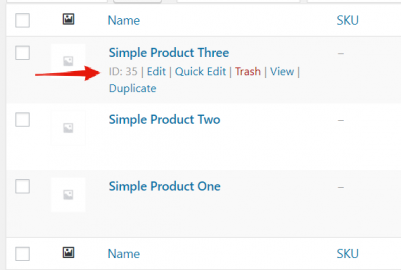 If a customer clicks on a direct to checkout link multiple times, the product quantity will increase. For shops with a ‘cart’ page, this is no problem since the customer can adjust the quantity. But since we are removing the cart from the entire experience, it’s important to consider this scenario. In most cases, if you are selling a digital product or subscription, the checkout will only ever contain one quantity of one product at a time. This means that no matter how many times something uses the direct to checkout link the quantity will remain at one. 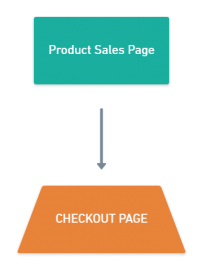 WooCommerce takes a ‘store based’ approach to the checkout experience. Each product is first added to the ‘cart’ before finally arriving at the checkout. This is great if you intend for your customers to purchase many products during each sale. But for entrepreneurs who are selling membership access or online courses, this is not the most efficient funnel for your customers. However, with a few tweaks, we can streamline the process so that the customer bypasses the cart and goes directly to the checkout. This reduces the number of steps required to purchased and increase sales conversions.